Increased access to health care coverage by almost 32 million Americans places additional strain on the overburdened primary health care workforce. The population in rural North Dakota is especially at risk as less than 10 percent of the state’s physicians live and practice in these rural counties. One major factor that contributes to the primary care shortage in rural areas is the decision by medical students to pursue specialties outside of primary care. Specialists in other areas can earn as much as three times more than primary care physicians. Aging practitioners who are close to retirement will further exacerbate the primary care shortage in rural counties.According to one study, almost 30 percent of North Dakota’s primary care physicians are at the age of retirement. There’s little hope for new practitioners to replace those who will eventually retire as the number of new entrants is well below the replacement rate. The lack of interest in primary care by existing practitioners becomes a major issue in light of the growing needs of the baby-boomer generation. More than 33 percent of the rural population are between the ages of 55 to 75 and are suffering from multiple chronic conditions. Without an effective solution, these factors will drastically affect health care delivery in both rural and urban areas. Nurse practitioners are the answer to the primary care shortage, according to some experts. 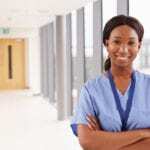 They are essentially registered nurses who go through additional training through a master’s program to specialize in a chosen area of practice. Those who want to become experts in a chosen area can also enroll in the Doctor of Nursing Practice (DNP) program. 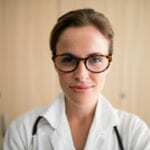 According to the American Association of Nurse Practitioners, approximately 86.5% of nurse practitioners are trained in primary care, which will help to close the gap caused by a shortage of physicians. Like physicians, they can examine, diagnose, and prescribe medication. 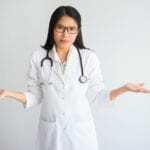 Unlike physicians, they require less training but are still capable of providing care that is comparable to that of physicians as it relates to quality and safety. The DNP curriculum prepares nurse practitioners to become experts in their area of practice and is more in line with the requirements for physicians. Due to the advanced training, the terminal degree is fast-becoming the degree of choice among NPs. Education is the key to a successful career as a nurse. Close to 72 percent of the nursing workforce hold a BSN degree or higher – up 42 percent from a decade ago. Although a BSN is not a requirement for entry-level nursing, most hospitals limit their hiring to BSN prepared nurses. There’s also been an increase in enrollment in the master’s degree in nursing program as nurses return to school to prepare for advanced practice roles. While the benefits of pursuing a master’s degree are obvious, nurses might question and even become hesitant about enrolling in a doctorate program. Here are some valid reasons to get the DNP degree. The cost and time involved will put off most nurses. Two or three years or study at the doctorate level will be a burden on your wallet – even with the numerous scholarships and grants available – but it is a worthwhile investment. With your degree in hand, you can take up an educator role, translate or conduct research, and qualify for exciting and rewarding positions that are only available for DNPs. Coupled with your experience as an advanced practice nurse, a DNP will provide an advantage when it comes to organizational promotions. Don’t be afraid to count the cost. Calculate the full cost of completing the program – as close as you can get. Then, consider the possible careers you could pursue and respective compensation to determine the length of time it would take to recover your investment. It also pays to consider the opportunities you’ll lose if you do not have a DNP. Nurses must stay on top of trends in profession. The majority of nurses pursue post-graduate study five to eight years after their entry into practice. A lot can change in that time. The DNP not only gives an opportunity to prepare for a specialty role but also to update your practice and learn new trends in the delivery of care. Essential courses such as information technology, evidence-based practice, leadership, health care policy, and others will not improve clinical skills but will give you a broader perspective of health care. You’ll learn how to apply research to improve practice and understand population health and interprofessional collaboration to help remove deficiencies in the healthcare system. Some fear the rigorous nature of the program. But if you are passionate about an area of nursing, it will be a joy to develop your expertise in that area. Find a program and select a concentration that fits your passion and stick with it. You’ll also benefit from collaboration with faculty who are versed in the subject matter. At the end of it, you’ll have gained insight from industry leaders, be fluent in the latest trends, and be ready to translate research while adding your perspective to your chosen specialty. As a DNP nurse, you’ll not only advance your career but also make great strides for the profession. At 3 million and counting, nurses are the largest group of professionals in healthcare. To influence health policy that impact nurses and patients, you must have the credentials that will force other decision makers to take notice. A DNP will pave the way for positions on healthcare boards. Only five percent of hospital boards have representation from registered nurses. It is for this reason, the Institute of Medicine recommended greater representation for nurses on the boards of healthcare organizations. A DNP will place you on par with other qualified professionals represented on the board. Another important recommendation from the IOM that is well on its way to being fulfilled is the doubling of the number nurses prepared at the doctorate level. Since the recommendation was published in 2010, there has been a surge in enrollment in DNP programs and the number of graduates crossed 17,500 in 2016. Obtaining the terminal degree is the ultimate challenge if you love to learn and want to pursue the limits of your career. Your career as a nurse depends solely on what you put into it. There’s a sense of accomplishment you’ll gain from striving and achieving the highest level of education in the profession. With your accomplishment, you’ll be prepared to deliver the best care and improve the lives of individuals, families, and communities. As a DNP, you’ll add an element to and influence practice in ways that are impossible to do as a registered nurse with a BSN degree. That is as good a reason as any to start searching for the right program. Selecting a DNP program requires some research as there are different types of programs – based on categories and concentrations. Some options will meet your specifications more than others. The right program will be one that mirrors your passions and values and has faculty members who are respected industry leaders in your chosen area. Assess the curriculum, modules, practical requirements, expenses, faculty commitment, program delivery, and support. Compare reviews from past and existing students. If the program is a hybrid program, would you have the freedom to attend in-person sessions or do you prefer a program that is delivered fully online? Make sure the program is accredited by the Commission on Collegiate Nursing Education (CCNE), and once your time and finances are in line, go ahead and take the leap. Check the admission requirements for your chosen program. An active nursing license, including a license to practice as an APRN, and experience as a registered nurse, are just two common prerequisites for admission. Check the school’s website for specific requirements. BSN prepared nurses are not excluded from the option to pursue a DNP degree. The programs offered by the University of Mary and North Dakota State University prepare students for practice a family nurse practitioner and is designed to be completed in eight semesters of full-time study. Graduates are capable of providing expert practice in leadership and clinical roles. Tuition, fees, and books cost an average $4,980 for full-time resident students enrolled in the DNP program. The rate per credit for part-time students is $391.